It’s a surprisingly common challenge among our community of smart, capable women: Managing budgets is part of your role at work and you’re competent – even talented – at doing it. But when it comes to your own finances, it’s a different story. Why is it that we can be firing on all cylinders when it comes to our business finances, and yet stuck in a rut when the money’s our own? After all, it’s not as though your own cash is less important. Well, I have a theory – and I’d love to know if this resonates. One of the reasons why we can be so successful in one realm, and yet feel like we’re floundering in another, is this: in our work, we tend to be constrained by clearly defined parameters within which we have to make our decisions. You’re operating within a framework that leaves you in no doubt what you’re aiming to achieve, how you’ll monitor it happening, and when you’ll know if you’ve hit the mark or not. At home, it’s a different story. Often we lack a basic structure to allow us to make informed decisions about what our goal should be. So let’s break down the 4 key areas that we can often find ourselves struggling with when it comes to personal wealth. Any business needs to have a grasp of the basic numbers: how much you’re spending versus how much cash your business is earning. At work you likely have data on hand to explain why those numbers are what they are, and depending on the industry there will be varying levels of detail available to back up those numbers and give you further information. But many of us have a very different story at home. You might have an idea of what comes in, and perhaps certain fixed expenses, but what if things go up or down unexpectedly? What happens to spontaneous purchases or surprise expenses? And what’s the money you’re not earning or spending doing? Cat Townsend is a graphic designer who started her journey towards financial freedom when she took a closer look at her own financial history… and was surprised, to say the least, to find her assumptions about her freelancer earnings proved wrong. “I was amazed to discover that despite feeling like a financial failure, and not always having dependable income, that I had actually earned as much over the last decade as my partner had in his stable and steady job. When you have the data you need, you can make a better decision about what your focus is going to be – do you really need to be making more money, or is it more sensible to begin to look at what happens to that money when it comes in? Getting a handle on where you currently are is an essential first step when it comes to taking back control. In a business, you likely have a clear goal – a SMART one, hopefully, that guides your strategy when it comes to generating income. Conversely, many of us haven’t been taught how to set our own financial goals. At One of many we use a simple structure called The 4 Stages of Wealth. These describe where you’re at and then use that to reveal what your current priority should be. When Cat realised the stage she was at, it gave her another “aha!” moment. 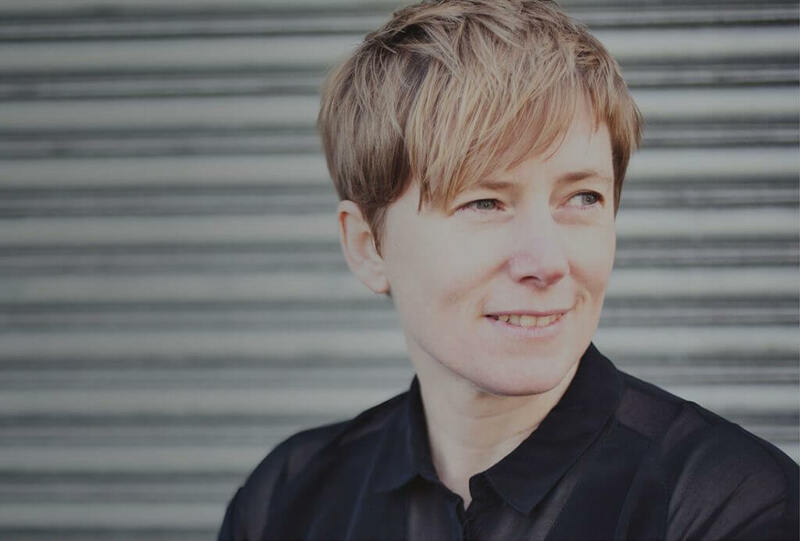 “Jo also taught us about the four stages of wealth – Stability, Security, Independence and Affluence – and I realised another reason why previous financial education hadn’t worked for me. I was so far in the realm of instability that I hadn’t even reached the first stage of wealth yet! You can’t just jump straight to financial independence or affluence. If you look after numbers in a business context, you might be called upon to report them at a team meeting, via email, or in a meeting with your accountant. What’s important is that there’s an element of accountability there. One of the biggest differences when it comes to handling budgets at work compared to tackling your own financial situation is emotion. Of course, as a responsible team member it’s going to be important to you that the business you’re in performs and gets results. But the level of personal attachment to those numbers is likely to be significantly less than the emotions you feel when you look at your own figures. You might feel worried, guilty or angry if the business isn’t doing well, but you’re less likely to feel personal shame. This is a clue to one of the most commonly overlooked aspects of financial confidence: dealing with and recognising our own emotional “baggage” when it comes to money. The great news is, if you’re on top of things at work the evidence is clear: you’re absolutely capable of nailing your personal finances too. When you have the right framework in place you’ll discover the joy of making financial decisions from a place of empowerment – so that tending to your finances can feel fulfilling, exciting, and even joyful. And even if you don’t handle budgets at work, you might be more talented with figures than you think. A 2017 survey by Fidelity insurance in the US found that in an analysis of more than eight million clients, women actually tended to save more and outperform men when it came to generating a return on their investments. Which is great news, right? When we have the right tools, women on average make sound decisions. 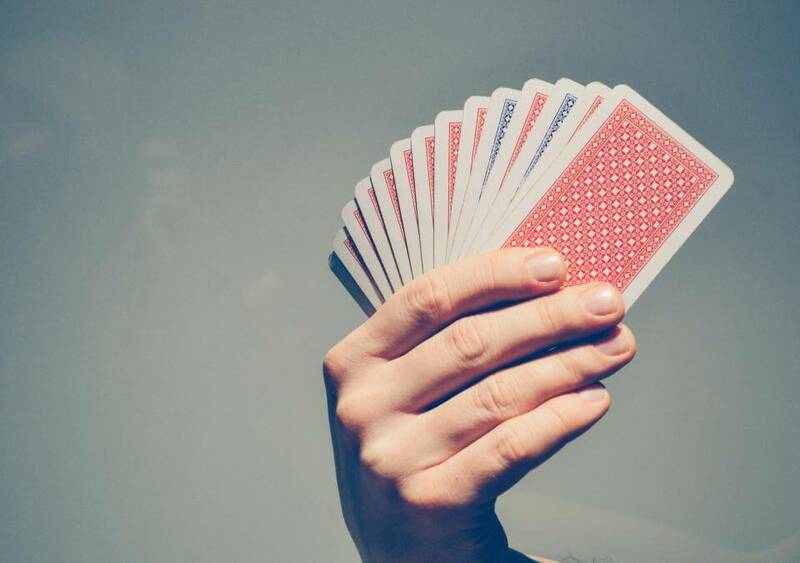 So if you’re wondering why you can’t seem to manage your own finances like you do your business’s, it might simply be a case of creating the structure that will allow you to shine. If you’d like to find out about the training we offer to women around financial empowerment – both in-person and online – click here to get in touch. We’d love to find out what support you need to feel fully confident when it comes to your money. Did you know that in the UK, where I live currently, it’s estimated women are going to hold more than 60% of the country’s wealth by 2025 ? We are a veritable army of change waiting to be tapped into. If we equip and empower ourselves around money and start making decisions which are in line with our values, then we could transform what the world looks like. So it’s exciting times with regards women and wealth. But these are also hugely stressful times for a lot of us, right? To take the UK again, only 7% of the population in this country are on track for the retirement that we want. I’m a little bit concerned about our pensions, if I’m honest. And I’m not alone. Research tells us that 4.5 million women in the UK are losing sleep over their money situation, and it’s not just that they don’t have enough in the bank right now. 57% are losing sleep because they don’t have enough savings – they’re worried about their future. And 28% are doing okay month by month but they’ve got a huge debt that they don’t know how to manage. All together, that’s a hell of a lot of sleep we’re losing. It’s impacting our quality of life. It’s impacting our well-being. And arguments about money are the number one top predictor of divorce. So unless we do something about this money stuff, our very vitality, our health, our happiness and our relationships, will continue to suffer. Here’s a quick challenge: think about your work confidence. Whatever you do, how confident do you feel that you’re the master of your own destiny there? That you can show up, that you can do something to make a difference? Maybe it’s 100%, it might be 50%, or it might be 10%. Go with the first number that comes to mind. Now, compare it to how confident you feel about your ability to manage and grow your money: your money confidence. 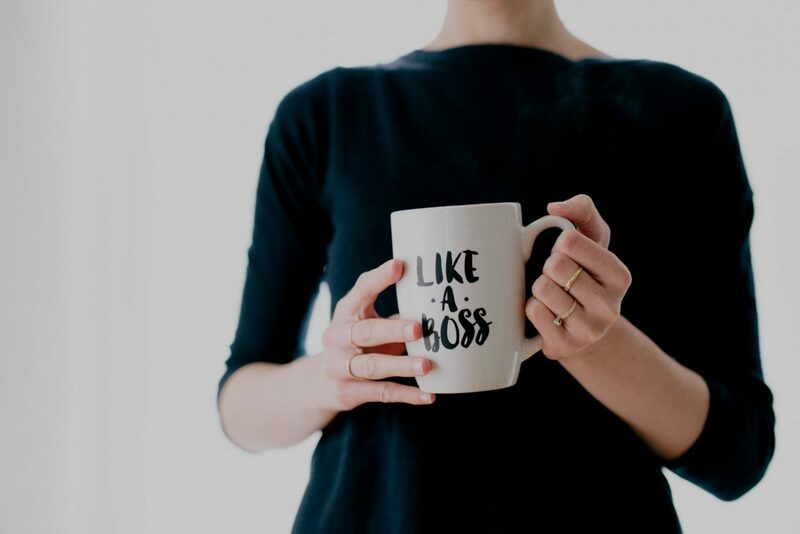 What I think we’re seeing at the moment is that over the last 100 years or so, as women have started to become empowered in the public sphere, we’re finally feeling confident in work. We’ve fought our way through that glass ceiling and showed up, and we’re performing. Yes, there’s still a long way to go, but we’re doing great. However, our money confidence is often lagging behind. We still have a tendency to give our power away – to our partners, financial advisers, or even our parents. And where we are giving our power away, then we are not fully stepping up to the responsibility, or the opportunity that’s there for us. Because let’s face it – the world needs changing. And we can change it with our economic power. We can change it with our empowerment. But if you’re giving your power away around money, then you’re giving your power away full stop. At Be Wealth, our brilliant retreat all about women and their relationship to money, we use a simple model called the 4 Stages of Wealth to identify our financial priorities and challenges, regardless of how much money we do or don’t have. At the retreat I take a spot survey in the room, asking the women there to put up their hands to say which stage of wealth they’re at. It’s always a fascinating exercise to me, and not for the reason you might think. What I see first of all is that an overwhelming majority of women in the room who are at the first stage of wealth – stability, where whatever they have coming in the amount they have left over at the end of each month is zero – feel shame. But then those at the next stage, who you might think have got it sorted – because their passive income is making them more than their expenses – also say “Oh, I don’t want to admit to this in public! I’m so embarrassed”. And I believe this is the root of so much of the problem. We’re embarrassed because we’re making more than the person we’re sitting next to. We’re embarrassed because we’re making less than the person we’re sitting next to. We’re embarrassed because we’re not further along than we “should” be based on what our parents, or our society, tells us. I would go so far as to say 99% of the women I have spoken to around money have some kind of money shame. And when you have embarrassment around talking about money, you cannot transform it. Because if you can’t talk about it, you can’t learn about it, and education is the thing that can turn a situation around. If your financial situation at the moment is not what you want it to be, it’s probably because at some level, you’re embarrassed to have conversations around money. But if you were never taught how to manage money, if you were never taught to understand how it accumulates and how it grows and how it works, how could you possibly ever do anything about that? I believe if we really wanted to change the way that power is arranged around the world we could do so, purely by changing whether or not money is talked about. If everybody started talking about money: how much we have, how much we don’t have, what we know about it, what we don’t know about it – if we took it out of the closet, so to speak, I think things would shake up hugely. But we will not be able educate ourselves until we overcome this first step of speaking about it. And it’s absolutely time to do something about this, because we have an opportunity right now to transform the world. Not just our own personal financial world, so we can have the retirement that we want, and make the kind of impact for our kids that we want, or have the lifestyle that we want. Of course we know we can change that world if we sort our money stuff out. But I believe we can change the world for even more people if we actually transform our relationship to money. If we let go of our money shame, and actually get educated on how the damn thing works. What do you think? Can you relate to a feeling of embarrassment or even shame when it comes to talking about your finances? Let me know what your relationship to money is in the comments. 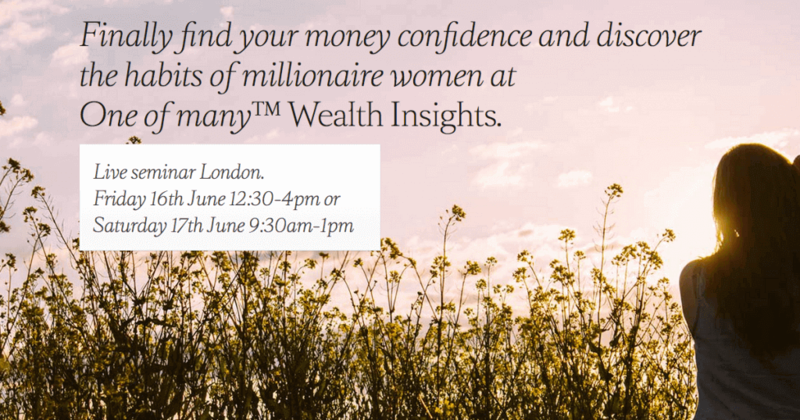 If you’d like to explore a new way of thinking about money that takes away the shame and gives you practical, powerful actions to take at whatever stage you’re at, come along to Wealth Insights. It’s our focused money workshop that gives you the chance to talk about your finances in a safe and friendly environment – and leave with a map of how to change your financial situation for good. Read the full details and book your place here. Can wealth make you happy? Can wealth make you happy? If you don’t have much money it’s tempting to think that it can; if you know you have plenty, you’re probably wondering why it doesn’t. The fact is, wealth alone is the wrong measure to be looking at when it comes to our happiness, and here’s why: In every area of our lives, our ultimate fulfillment comes down to one thing. Before you know whether money will make you happy, you first need to be clear on your values. Your values in relation to your wealth is something we look at in depth at our BeWealth retreat, but in a nutshell, values are those things which are most important to us. They provide all of our upfront motivation in life – you can pretty much guarantee you won’t spend time or money on something if it’s not of value to you. Values are usually single words or short word phrases like love, achievement, pleasure, joy or freedom, and while they’re nouns, they’re usually things that you can’t put in a wheelbarrow. It’s not books that you value, for example, it’s education. Using the wheelbarrow test, is money a value? Probably not, because money you could put in a wheelbarrow. It’s what money provides you that’s actually important to you. That tells us that money in itself can’t be one of our values. How can you know what is? Take a look at what you choose to spend your time, energy and money on. If you’re always squirrelling funds towards your next holiday, it might be that you value travel, or adventure, or sunshine. If your amazon wishlist is longer than your arm, it’s a fair bet that reading, learning, or escape is one of your values. And the books on your shelf are another great clue. Maybe you’re obsessed with spirituality, interiors, or rich imaginative worlds. Your values are what bring you joy, fulfillment, and happiness. If money is an area of your life that’s currently causing you stress, looking at it through the lens of your values can give you fresh clarity into what action you need to take. Say you’re fretting about money because there just never seems to be enough left over at the end of the month. When you think about your values, perhaps you find that security is something that’s really important to you. You want to know that if something unexpected happened, you’d have the funds you needed to fall back on. If security’s important to you, you probably want to spend some time and energy learning about budgeting, money management and insurances. Perhaps you want to have a chunk of cash earmarked as a “rainy day” fund – like 6 month’s worth of living expenses – so you know the mortgage will be paid no matter what. Or perhaps helping the environment is a really strong value of yours. Setting up a regular donation to an amazing organization helping preserve ecosystems, plant trees, or support indigenous communities might be a way to feel incredibly fulfilled about where your money is going. Volunteering a few hours a week to clear up a local beauty spot would cost nothing, and yet be a big investment in your happiness. Whether you’re donating five dollars a month or investing tens of thousands, the fact that your money is aligning with what matters to you is what will ultimately lead you to happiness. When we feel stuck, small or uncomfortable around money it’s often because we’ve been taught to use it in a paradigm that doesn’t line up with what really matters to us. What we’ve learned about money is often outdated, and not particularly useful for us. That is, if we were taught anything about money at all! It’s not uncommon for women to be very successful at work but not understand anything about how money actually works. After all, it’s only relatively recently that women have actually been allowed, from a societal perspective, to be involved with money. In the UK, it wasn’t until 1975 that a woman was allowed to open a bank account without her husband’s permission. To say nothing of the fact that for millennia, commerce was a strictly masculine domain – one in which we simply didn’t have a say. When you consider that our grandmothers and great-grandmothers, going back for hundreds of generations, were not allowed to learn about or handle money, it makes sense that historically we don’t have power around it. But things have changed dramatically for women in the last hundred years. It’s time for that shift to start to take root in the realm of our finances. If you’d like to explore a new way of thinking about money that empowers you to have the impact you’d like in the world, click here to request a brochure on our money training. We’ve helped hundreds of women around the world get their money stuff sorted so they can focus on the difference they want to make. In my work I’ve met many women who have made and grown wealth for themselves and their families. And as I’ve talked to them about how they created and sustained that wealth, I’ve noticed certain patterns. So many of us many of us didn’t grow up with strong role models of how to create wealth. Maybe you’d like to make more money, but you’re unsure: What are good money habits? Very few of the wealthy women I spend time with didn’t wake up one morning with a huge number in their bank accounts, and then learn how to manage that money. Instead, they developed strong financial skills which led to the wealth they enjoy. Financial skills spring out of good money habits. As part of our 10-Week Wealth Turnaround we focus on 10 good money habits. I’ve picked off 5 of these that can implement no matter what the balance in your account right now. So, as you read this today, think: which of these will you implement first? Let us know how you go in the comments! The really wealthy women I know are always clear on one key thing: the answer to the question WHY? And the answer has a couple of parts. First they understand WHY they are in the financial position they are in. They take ownership of the good decisions and bad decisions they have made. They bring consciousness to every spending, saving and investing decision. Why are you in the financial position you are in. What good choices have you made, and what not good choices have you made? What do you want money for? What would life be like if you were receiving the kind of income you want? Why is money important to you – does it represent approval, stability, security, power or freedom, for example? We’re talking about money habits, but accountability starts with taking responsibility for our own power. The millionaire women I know are really clear about where they put their energy. They don’t lay blame, justify, or make excuses when it comes to their results. If they want things to be different, they take responsibility for making the changes that are needed. They’re also accountable to others around them, answerable to any promises they’re making. Finally, they’re accountable in the more usual sense of their financial accounts. They know what’s going in and what’s coming out when it comes to their money. When we look at the stages of wealth, accountability is one of the key ways we move from financial instability to a place of financial stability. So if right now you’re not sure whether you’ll be up or down financially from month to month- the first and most important habit you need to implement is the habit of accountability. Action: It can take a few hours to get a clear picture of your finances, so make time for it. Schedule a coffee date with yourself to get really clear on where things are: your debts, savings, and what’s coming in and out for the month. Getting a clear picture of where you are is essential if you’re to start steering your financial ship in the direction you want to be going. This habit probably doesn’t come as a surprise – after all, we’re talking about women who are millionaires. They know how to manage their money effectively to make sure that they’re creating the financial future they want. You might have read things like this before and thought: “Fine, I need to be ‘effective’ – but what does that actually MEAN?”. Well, at the very least, it’s about allocating something towards your financial future every single month – making that a part of the work your money does however much you earn right now. In the great book The Millionaire Woman Next Door Thomas Stanley shares that 68% of millionaire women know exactly how much they spend every month on living: mortgage, fuel, food etc. They are brilliant budgeters. Of the other 32%, the “non-budgeters”, they make a commitment to INVEST money first each month and then only spend what is left over. Either way millionaire women organise the money they have, and routinely put some aside to invest (not save) for the future. One of the biggest mistakes I see women making is thinking that they’ll start to invest their money when they’re making “enough”. Most of us will never grow the kind of wealth we want without a commitment to investment right from the start. Just telling ourselves we’ll invest what’s left over isn’t sufficient. We must start the investing habit first. Creating your financial future means becoming conscious of the flow of money through your accounts. When we start to plan for the future immediately, we open up the amount of focus we give our financial future. So even if its $1 a month, starting the habit of investing in the future is the crucial step. This is how we start to become truly conscious of our finances. Action: Are you confident you understand the flow of money in your life? If you’re not really clear on how much you’re earning or spending, go back to the previous step – getting a clear picture of your finances is essential before you move into actively managing your money. Once you understand what’s coming in and out, you can start looking at what you want to invest in your future. Even if it’s only a small amount at first, this habit is one that will pay off in the long term. How much will you commit to investing monthly? In a culture which encourages us to continually spend, spend, spend, the millionaire women I know don’t only play the role of consumers in the marketplace. They’re in the habit of seeing themselves as creators of opportunity. That means thinking of money as a way that we can make things happen for ourselves and for others, not just through our spending but through our investments. 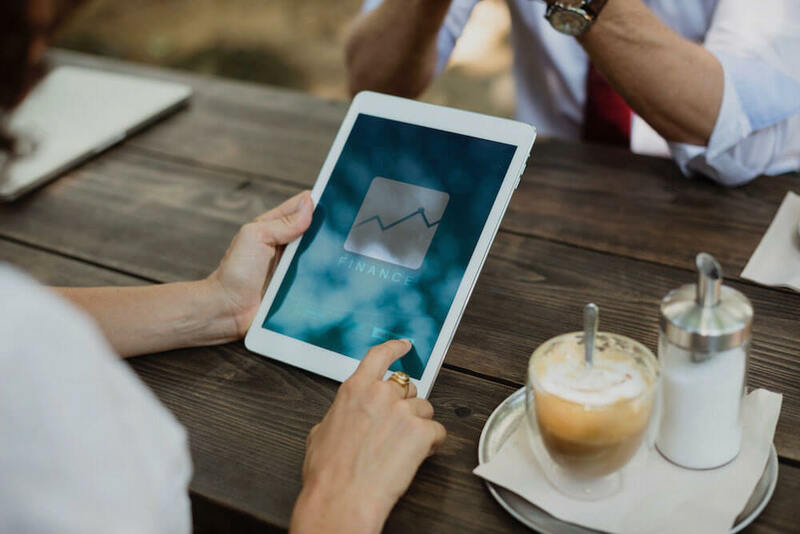 Investors see their money as a way of creating opportunities, whether that’s through property, the stock market, becoming a partner in a business, or something else. Action: What would you like your money to do if it was working for you, instead of the other way round? Brainstorm a few priorities to investigate further, if this isn’t a part of your current finances. Not sure where to start? Move on to habit 5 – it might be time to make some financial education your first investment. If we start early enough in life, and have the right level of income, simply saving part of what we earn could possibly lead to wealth. But for most of us, creating the wealth we want to requires a little more. Usually our money needs to work a little harder than your average savings plan allows, to really provide for a financial future. Most of us aren’t born knowing this stuff, so the first step is education to learn how to get our money working harder than a 0.5% annual interest rate in a bank! Rebecca Robertson of Evolution Financial Planning. Gill Fielding of Fielding Financial. Wealth Insights is our own half-day foray into reclaiming your power when it comes to money, and really increasing your wealth. Click here for upcoming events. 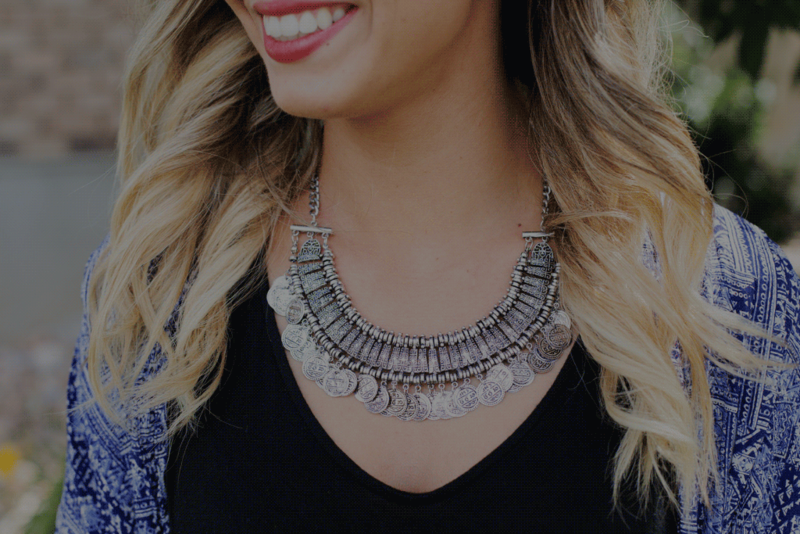 At One of many we believe wealth is one of the most important areas of women’s power, and we’re on a mission to empower every woman in our community to create and manage the wealth she wants. Do you recognise these habits in yourself? Is one of them a particular challenge for you, or an area where you have a tip to share for someone else? Let us know in the comments – your experience might be just what another woman needs to read today. What is true financial freedom? The phrase has a delicious ring to it – but for an awful lot of us the actual definition isn’t clear. The reality is, unless you know what you’re aiming for, it’s impossible for you to create strategies that will get you there. When it comes to financial empowerment, too many of us get confused about the basics – like what is true financial freedom – meaning we don’t focus our energy where it’s most effective. And this stuff matters. According to CNN, the largest growing economic force in the world isn’t China or India – it’s women. We account for 85% of all consumer purchases. If we were all able to make conscious, empowered choices around what we spend, rather than making those decisions unconsciously, we really could change the world. Financial empowerment is a really important strand of our work here at One of many, because our finances are one area where a lot of us experience a great sense of disempowerment. To be clear, I’m not just talking about how much money you have. When I talk about financial empowerment, I mean being really clear on what your financial situation is, taking responsibility for it, and understanding the strategies you need to move forward to the next level of growth. Without that level of understanding of wealth, you won’t be truly empowered. So what is true financial freedom? The first thing a lot of us think of is an emotional state. Sound familiar? But these kinds of woolly definitions can actually hold us back, because they don’t give us a clear sense of what we need to do in our lives right now to change things. At One of many, financial freedom has a very specific meaning, and that’s what I want to share with you today. It’s one of the 4 stages in our “pyramid of wealth” – a really simple model we use to help us understand where we are financially. Let’s say you work for a salary of $30,00 per year, and your living expenses come to $30,000 – you’re at stability. Your earnings equal your outgoings. At the end of each month, you’ve got nothing left over in the bank account, but your expenses and your income is steady. If you’re earning $50,000 and your expenses are $40,000 per year, you’re probably at stability. Your expenses are covered by your earned income, with a little bit left over. 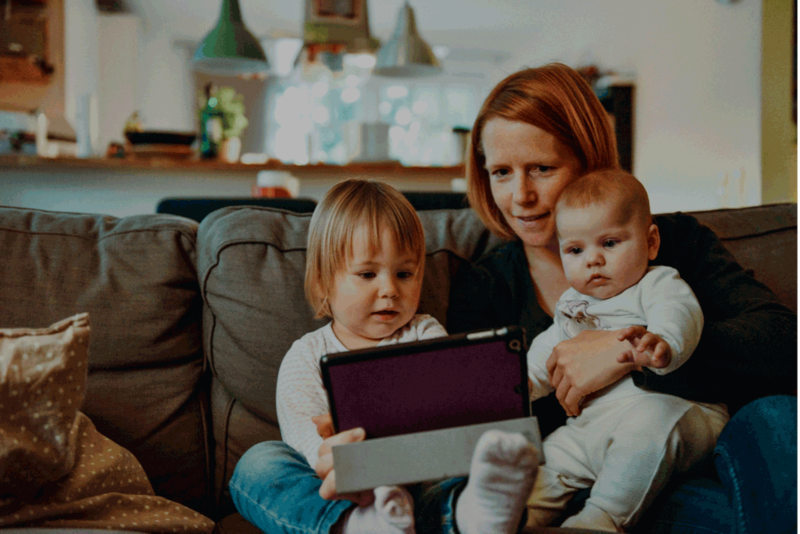 At this stage, your family has a “rainy day” fund that means you’ve got the money in the bank to cover your expenses for the next 3–12 months. You’ve also got relevant wills and insurances in place to make sure you’re covered in the event of an unexpected emergency. This is the “financial freedom” which a lot of us find hard to define. We describe it very simply: At this stage, whatever your living expenses are, they’re covered by the money generated by your assets – like income from property or stocks and shares. Any amount of money you earn is a bonus because at this level, your living expenses are covered by your asset income. In other words, once you reach financial freedom, you don’t have to work any more to maintain your standard of living: your investments will cover your day to day costs. The final stage of wealth is affluence. As with independence, your living expenses (say $100,000 per year) are completely paid by the income from your assets. This is the point at which you begin to diversify – to invest in lots of different assets, and to begin to understand how you can make a difference with the money you invest. At this stage, we start to become interested in what we can invest in, and begin to understand entire markets and the part we can play in them. You might be reading this thinking “Jo, that’s all well and good – but I’m not sure I’m on the pyramid at all!”. Maybe you’re a self-employed person experiencing “feast and famine”, your expenses seem to vary wildly, or you’re just not sure what your finances really look like. How do I change the stage I’m at? Accountability isn’t enough here, because reaching security means increasing your income or reducing your expenses. Now, the key is finding your flow. That might look like doing something you’re passionate about so your ability to earn income is greater, or tapping into a bigger flow of money by aligning yourself with a business or organization where the money is flowing. This is something we explore at a much deeper level at BeWealth, where we use the Energy Outcome Matrix to get clear on the different elements to wealth creation and tell us where we need to be focused. Achieving financial freedom requires learning about investment: investing in oneself; investing in assets; or perhaps investing in teams to run your business for you. Just earning more won’t make that change. Now, the focus is on investing in assets which can generate money. And for many of us, the first step to that is investing in our own education so we can feel confident about making those decisions wisely for us and our families. The final stage of the pyramid is all about balance. We learn how to balance different kinds of assets, and to understand the balance sheets which tell us what’s going on in our finances. We also learn to balance our own energy, so that we’re paying attention evenly to every area where we spend energy. Finances can bring up all kinds of emotions and triggers for a lot of us, and it’s not surprising to find that there’s a temptation to “stick our heads in the sand” and ignore what’s going on. Looking at wealth in stages like this helps us understand where we’re at without judgement or emotion, but simply asa stage on a journey. So today, get honest with yourself: where are you right now? Wherever you are, take a few minutes to notice the habits and the thinking that have got you to that level and be grateful for that. But notice that the same habits and thinking could keep you stuck here. What is it you need to get to the next level? In the next twelve months, what’s the big thing you know you need to do to change your financial circumstances and be in a place where you’re ready to move to the next stage? The more we talk about these things, the more we can support each other to get empowered when it comes to money, relationships and health. If this is helpful to you, let us know in the comments below! We believe real leadership is less about skill, and more about having a well of physical, emotional, intellectual and spiritual strength to draw on . Every week we support thousands of grassroots leaders globally with our free articles, videos and online trainings such as binary options with powerful tools and methodologies created BY women FOR women. For many years we have been hearing about The Law of Attraction and Manifestation; how it’s possible to create the life that you desire by thinking and believing that it’s possible. But there has been a very important missing piece. In this article I’d like to share exactly what that missing piece is and give you a simple 5 step strategy to money manifestation mastery. Money is a vehicle to realising your dreams in the physical world. Money helps to ground the calling of your Soul and anchor it here on the planet. Money is not the source of your happiness but a vehicle to express your full essence and Purpose in the world. Money is an amplifier. Money exposes your deepest emotions, thoughts and beliefs that keep you small, stuck and limited. Your relationship with money can trigger and expose some of your deepest fears, frustrations and challenges. Used consciously, money can also expose your greatest purpose, your true essence and the gifts of your Soul that you have come to this planet to share with the world. The energy of Money is neutral. It does not judge good or bad. It simply wants to create and grow. Money can support you to create and grow your dreams into physical reality if you choose to use it in this way. When you use money consciously in this way, it can be your greatest support to help you realise your purpose and make the impact that you were born to make. This leads me nicely to the missing piece. It’s all about where your desires are coming from. You can create the life that you want lead by the desires of your Ego and many people do create from this place. The problem is that creating your life from your Ego desires can also create pain and suffering along with it, not only for you, but for others as well. But there is another place to create from. When you create your life in alignment with your Soul’s Purpose, you will be making choices that serve not only yourself, but also the lives of others and all life on this planet. Your Soul, your Higher Self, will always lead you to greatness. When you consciously create your life in alignment with your Soul’s Purpose, then your life flows with greater ease. Don’t get me wrong, life will still present its challenges, but generally speaking life will be flowing with you, rather than against you. If it’s not, then you have yourself a problem. Your Soul, or Higher Self, has come here for a reason. Your Purpose is far greater than what you are aware of on an Ego or personality level. If you create your life out of alignment with you Soul’s Purpose, then you will soon find out about it. When you fall too far out of alignment with your Soul’s Purpose, you will get what I lovingly call ‘A Slap from The Universe’. For many people this can look like a difficult life changing crisis. I have been ‘slapped’ by The Universe many times in my life. I have also supported hundreds of women through many of these turbulent life changing moments. What I have learned is that if you create your life out of flow with your Soul’s Purpose, life will force you to stop and listen. It is my passion to empower women with The Law of Attraction and Money Manifestation to consciously fulfil their great purpose while living life to the fullest. By saying yes to receiving money in alignment with your Purpose, you are saying Yes to creating a life of greater Ease, Joy and Fulfilment. It’s time to say good bye to unnecessary pain and suffering when it comes to money and start enjoying your life to the fullest by making the difference that you were born to make. You are the creator of your life. There are areas in your life where you unconsciously create a life you don’t want, rather than consciously creating a life that you do want. It’s time to let go of victim consciousness, of life happening to you and get into the drivers’ seat of your life. Money Manifestation Mastery is about remembering just how powerful you truly are. Most people have not been taught this. Most people have been trained in victim consciousness. You have been trained that there are limited options for you and your life. The truth is that you are a master creator. It’s time to reclaim this power and start using it consciously. This will not only create an awesome life for yourself but for everyone whose life you touch. By transforming your world, you transform the world of others. As within so without. 5 Essential Steps to Manifesting Money in Alignment With Your Purpose. Most of us are very good at focusing on what we don’t want. When I ask women ‘What would you ask for if I had a magic wand?’ the majority of them will start talking about what is not working, what happened in the past and why. Most people are programmed to focus on the negative, to focus on what is not working. The key to creating the life that you desire is to focus on what you do want. I will ask you now, if I had a magic wand and you could have anything you like, what would you ask for? Let’s start with money. How much money would you LOVE to bring into your life and business, with ease (not with hard work and struggle)? What would that figure be for you? It can be monthly amount, an annual amount or a lump sum. This is your Money Goal. The great thing about Money in relation to your purpose is that larger amounts of money are more in alignment with your Soul than smaller amounts. This is because your Soul is infinite! You do not need to confine yourself by lack or limitation when it comes to money and your purpose. Allow yourself to dream big! How much money would give you the feeling of financial freedom? What would make you feel really relaxed and happy when it comes to money? This can be an annual amount of money or a monthly sum of money. What would it take to bring in X amount each month/year? Next you want to get clear on what I call your Money WHY. This is your money fuel. Your money fuel is the reason behind your Money Goal. Your Money Fuel highlights what is really important to you and what you are truly asking for through the vehicle of money. Your Money Fuel will be the thing that motivates you to create your Money Goal. Human beings are ultimately motivated by feelings. Make sure to include the feelings that would come with your money goal being realised. The feeling that you want to feel is ultimately what you are asking for! For this next section, please get a pen and your journal or piece of paper. Why is this amount of money important to you? What would be the impact of this amount of money? What does it do for your life and the lives of others? Now take the answers to those last questions and ask the 3 questions again of the first round of answers. Now take the answers to the second round of questions and ask the 3 questions one more time. Why is that amount of money important to you? What would be the impact of that amount of money? 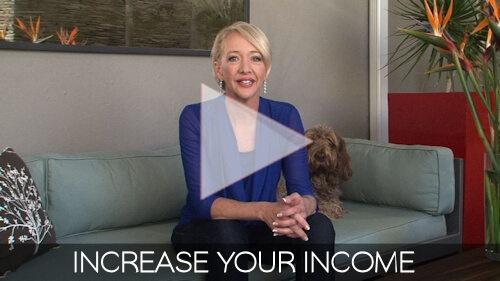 With each round of questions, you are unlocking your deepest desires behind your money goal. The answers to these questions will highlight your true Purpose. Your Purpose is not just what you do in the world, it’s how you are BEING in the world. Part of your purpose is to BE the truth of who you are. Your purpose is to fully embody and express your truth in the world. There are different vehicles for your purpose to be expressed, ie: business, but ultimately it’s about sharing the gift of who you truly are with the world. When you are deeply connected to your Purpose and your Truth, you will then be divinely guided through your life. Your money blocks are the negative thoughts, beliefs and emotions that often come up the moment after you connect to your dreams. When you opened up to what you wanted, did you notice any negative, limiting thoughts or beliefs come directly after? These are your money blocks. Your money blocks seem very real, but they are not. They are simply negative thoughts, beliefs and emotions that you absorbed and picked up on from the world around you. You learned these patterns from your family, your ancestors, the culture that you were raised in, as well as the society that you grew up in. Your Money Blocks hide the truth of who you are. They cover up the light of your Soul. They are designed to keep you small, limited, stuck and hidden. Your Money Blocks stop you from stepping into the unknown. Ultimately, they are designed to keep you safe in your comfort zone. Having these blocks is a part of your human experience. Your money blocks are part of the journey called Life, but you can also consciously release them over time. This is where you have the power of choice and the ability to consciously create your life for the better. We could spend a long time analysing all of your money blocks, which would be interesting, but it won’t necessarily release them. Would you be willing to simply let them go? It’s super simple to release your money blocks but you need to release them on a regular, consistent basis. Your money blocks are sneaky and feel so real! The trick is to recognise your money blocks, see them for what they are and be willing to let them go. Your money blocks want to keep you exactly where you are in the safety of your comfort zone. Your money blocks would rather keep you in the pain of what you know, rather than the potential risks of the unknown. Your Money Blocks, although with good intentions of keeping you safe, are actually holding you back from creating positive change in your life. It’s time to let them go if you wish to move forward with your life. The key here is not in the words that you say but rather in your intention behind the words. You need to really let go or at least be willing to begin the process of letting go of your Money Blocks. You are so powerful, more powerful than you realise. When you make the choice to let go of your money blocks, they will begin to dissolve away. Some money blocks like to grip on for dear life, so you need to do this practice every day to chip away at them. Eventually your money blocks will dissolve with time, patience and love. Releasing your money blocks is a daily practice. Money manifestation works when you get 100% behind what you are asking for. You have to make a choice that you are going to do this and have this, even though you don’t know how. You need to decide that what you are asking for is going to be your reality, because you choose it to be so. You do not need to know how you are going to make it happen. The how is up to The Universe and your Soul. All you need to do is decide and be willing to take the next steps forward towards your dreams. You are the creator of your life. You create your life by getting clear on what you want and where you want to go. It’s time to get into the drivers’ seat of your life. When you think about your money goal, where is it? Is it in the future somewhere? Do you see or imagine your dream outside of you? Most people do. The trick with money manifestation is to bring what you are asking for into the present, as if it’s real now. You become it now. “I will be happy, peaceful when I have X, I will feel free when I have Y”. The trick with manifesting what you desire is to start feeling what you want to feel NOW. So if you are asking to feel Joy, Freedom or Peace, start connecting to those feelings every day NOW. As you become what you want NOW, you become a magnet to more of the same. This is how The Law of Attraction Works. On a deeper level what you are doing with money manifestation is connecting to the truth of you. When you are aligned with your Soul and your purpose, you will feel Joyful, Free, Peaceful, Connected, Expansive and fulfilled. When you are feeling any negative emotions, it simply means that you have fallen out of alignment with yourself. It’s a sign something within needs your attention. How would a person with X amount of money (your money goal) walk, talk, be? Become the energy of someone with that amount of money now. Your body knows how to do this. Sit, close your eyes and ask your body to become the vibrational frequency of a person with X amount of money. Then see what you feel! As soon as you ask for what you want, the answers come. The Universe will give you energetic breadcrumbs to guide you towards your dreams, but you have to listen. Your Soul, or Higher Self, will guide you forward. The Universe and Your Higher Self speak to you in many subtle ways. You will get messages that lead you towards your dreams if you are listening and paying attention to those messages. One of the main ways that The Universe speaks to you is through your intuition. You will get ideas, insights or awareness that are guiding you to the next step towards your dreams. But so often you will reject those ideas or insights as soon as they come it. The key is to listen to the subtle messages from the world around you. The answers are there, but are you listening? To help yourself listen to your intuition it helps to get still and quiet. Sit, breathe and tap into your inner knowing. I personally recommend a daily meditation practice. The very important step to realising your money goals is taking guided action. You need to take action on your intuitive ideas, or at least be willing to explore them more. The key to guided action is taking action towards your dreams lead by your Higher Self and not from your Money Blocks aka your Ego. Your Money Blocks will keep sneaking up to stop you in your tracks. They will feel very real. You must keep releasing them as they come up and not let them run your life anymore. Keep releasing your money blocks every day. Your intuition will never speak to you in a fear based way. If your thoughts, feelings or emotions are fear based or negative in any way this is not your intuition speaking. Your intuition will be calm, clear and free from emotional drama. You will realise your dreams one step at a time. Sometimes you will move forward with great leaps and bounds and sometimes you will move forward with many little (sometimes wobbly!) baby steps. Please remember patience, trust, compassion and perseverance on your money manifestation journey. To help you connect with your intuition I recommend meditating daily. To do this, sit quietly with your eyes shut and breathe. When your mind wanders, come back to your breath. Sit for a minimum of 10 minutes or until you feel your mind slow down. I personally recommend a minimum of 20 minutes a day. Your mind will wander! That’s normal. Just keep coming back to the breath, back into the present moment, when you notice your mind wandering. When your mind has settled connect to your Money Goal and Your Money Fuel. What would it take to feel, have, experience….? Anything and everything that is stopping or blocking me from welcoming my money goal and my money fuel into my life with ease, I let it go now. 4) Bring your dreams into the present. Become the vibrational frequency of that which you desire. Imagine what it would feel like to have that amount of money. Bring up the feelings of your money fuel. Become it now. What action can I take now that will create the greatest result? Listen to your intuition. Write down any ideas and take action on the next best step for you at this time on your journey. Your dreams are on the other side of your comfort zone. Moving beyond your comfort zone is not always comfortable, but so very worth it. I promise! Never give up on your dreams. You are here to make a very important contribution to this world. Make the most out of what life has to offer you. 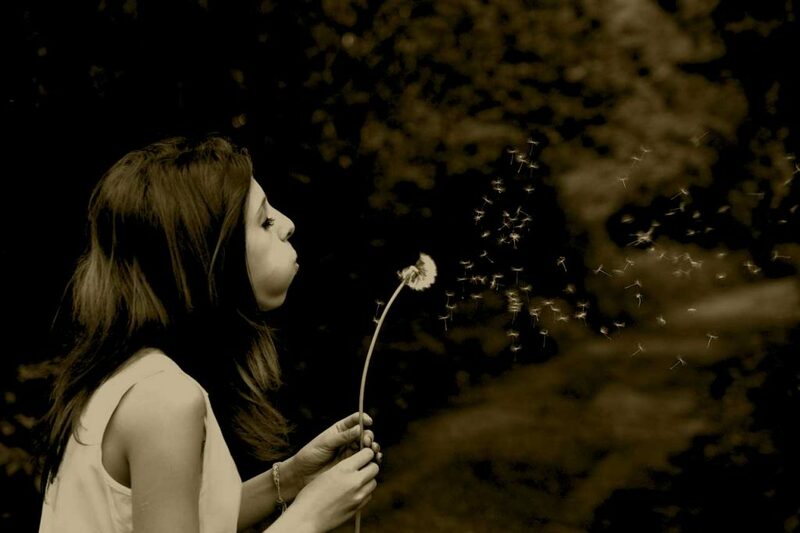 Lara Waldman is The Abundance Activator. 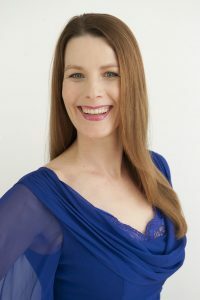 Lara is an Inspirational Speaker, Healer, Abundance Coach and Author of the book “Money Manifestation Mastery – 5 Steps To Abundance Activation”. Lara empowers Female Entrepreneurs and Business Owners to attract more money into their life and business. She teaches women how to use Money Manifestation as a vehicle to fulfilling their Life’s Purpose and making the change they were born to make. Women like you and I are in a powerful place. Thankfully, we’re in it together and it’s true that we really do have the knowledge at our finger tips and the capacity to create, and experience, the lives and businesses that we truly desire. Does that seem far fetched to you? For many this is still a theory, yet to be experienced for real. You know “there’s more”, and yet it often feels just out of reach. Can you relate to this? If you ever have those demons pop up, read on! Setting out to get the to the heart of the matter of mind-set development and brain reprogramming – and having read the works of many, many giants on the topic, I connected with a carefully handpicked selection of 25 experts recently which includes Hay House and New York Times Best Selling Authors and highly acclaimed International Speakers who generously shared their wisdom and experience of how they have evolved their thinking to evolve their lives. “”…You’ve might have heard that many times too? It’s also the key to unlocking the door to reprogramming your brain – your thinking, your words and your actions, which creates everything you experience. Almost every person had a story of adversity – and of overcoming it. The Hero, or Heroine’s Journey is part of the human experience for so many, and the reason for sharing that, is to focus on the overcoming part. To realise that if one person can create the outcome they desire, so can you. So can we all. But we have to make choices. A decision to be prepared to face whatever is in front of us and to take action with faith, and be connected to a desire, a reason why, that’s so strong it will keep you on the path, no matter what. A daily personal exercise routine that gets energy flowing around the body. 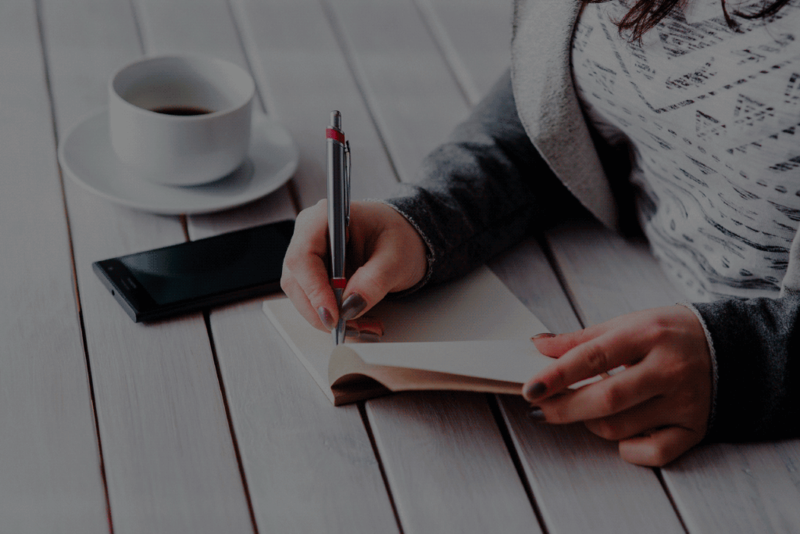 Writing or journaling as a way to connect with the inner self – ask questions, purge frustration, get clarity. Mentally focussing on a specific desired outcome and visualising that outcome like it has already happened, embodying the feelings. A meditative practice that allows you to listen to inner guidance. Sitting, running, swimming..whatever takes you to that zone. An awareness that there’s a part of you that you have to fight against sometimes to get to where you desire – resistance and fear are normal; and have a strategy to over come it. (nb If you experience resistance and fear and you’ve not read “The War of Art” or “Turning Pro” by Steven Pressfield. Get them. Read them, and know that what you experience as resistance is part of the process you have to overcome). Connecting with people regularly who were positive, driven, happy and motivated. Now I’m not suggesting that everyone has to have the Heroine’s Journey experience , but when you have awareness of what’s possibly going on for you inside your head, and that it’s possible to tame the tiger, you have the power to create a solution, a strategy to support you. So much of what we have to overcome at times is inside our own heads, so getting firmly committed to ourselves is the very first step. And keep recommitting until you get there. That we are programmed to grow and expand throughout our entire life. Challenges, when they come, are opportunities. We’re not meant to do this alone. Your mindset is one of the most essential keys to creating and experiencing whatever it is you desire. Do an mindset audit. What are your beliefs? Question them. Tune them up. Create the positive focus. Build the muscle everyday that you CAN be all that you desire. And enjoy the process of expansion as you start to feel life shift in your favour. Write down your top 20 beliefs about money, abundance and happiness. What do they reveal? If you write what you’d choose to believe – what would that look like instead? If you’d love to go deeper on this one, and receive all of the steps and strategies in full, you can access the interview series yourself. Tune in and hear what the lovely Jo Martin had to share on the subject, as well as other highly acclaimed speakers on Self-Love, Money Mindset, Creating Happiness, Busting Through Limiting Beliefs, Motivation and Emotional Healing and more. My friend Ann Wilson is just so clever. So clever that we featured her on the Soft Power Summit a few months back, with rave feedback. Here at One of Many, we are all about elevating you out of the “stuff” that’s keeping you from becoming the leader we hope, and know, you can be. First that means taking care of some of the necessary stuff, like health, career fulfilment, relationships, and of course your finances. That you stop worrying about how to get through each day, and start thinking what you can really achieve in life. Thanks to women’s inherent sense of nurturing, when we are free to start thinking what more we can do/ achieve, we usually want to use the excess money or time to do something good for our community. Now, who wouldn’t want to wake up in the morning to all the income you need flowing into your bank account? Well I know I want that for you, because I know that that would free you up to step up as a leader in your community. You could get creative, play to your passions, make a real difference, travel… learn… teach. But “that woman” waking up with all that money in the bank isn’t trading money for her time. She is getting savvy. She’s educating herself on ways to get her finances working for her. Now there’s a few ways to get your money working for you, and I have invited Ann Wilson to tell you a little more about one way; “Asset-based income streams”. I’m sure you’ve heard about people creating passive income streams – income that comes into your life without you having to work – but how are they doing that? How do these asset based income streams work and more importantly, how can you create it in your life in a way that fits into your already busy life so you can provide financial security for you and those you love? Ann Wilson. International Wealth Mentor. Bestselling author. Generally Clever Woman! Melanie Benson Strick, America’s Leading Small Business Optimizer, guides thought leaders and creative entrepreneurs to achieve optimum success by eliminating unconscious barriers. Your mindset – your beliefs, ideas and attitude — has a huge impact on the level of success you can achieve. Think of your mindset like your lens of possibility. If your lens is cloudy and distorted, you can’t see all the possibilities easily. If you are a leader, visionary or entrepreneur type, having a healthy money mindset is essential to carrying out your mission in the most effective, and profitable way. When you can see possibilities clearly you make better decisions, which obviously will lead to greater profits and impact. But here’s the crazy part. Most people really don’t know that their mindset has become a bottleneck to their next level of success. Because that way of thinking is their NORM it’s accepted – and even worse – you just work harder to be successful in spite of your lack mindset. If you want to be able to elevate your success you’ll need to upgrade your money mindset pronto! You hold back from investing in your business growth because you can’t afford it. You alternate between a big payday and scrambling for sales. You routinely make “just enough” to cover all your bills. The fear of what you will have to give up or change to be successful a recurring concern. You are still doing it all yourself because you can’t financially justify paying others to help you. You are busy – a lot – but your effort doesn’t translate to more money in the bank. Suspect you might have at least ONE indicator? Don’t worry, you and 95% of the human population! But the more indicators on this list you have the more likely you are to be secretly pushing away the very thing you deeply desire — more financial freedom. 1. Decide that you will thrive in your life and business. Before you do anything you must decide that you want to thrive. Make a commitment to do the inner work that will allow you to be more effective in your actions, choices and results. 2. Determine if there is a success barrier derailing you from doing what would really work. Now it’s time to determine what’s causing you to short circuit your success. Typically one of three success barriers are at play – Fear, Internal Conflict or Sabotaging Stories. These barriers have been in place for a really long time (they are almost always operating at the subconscious level) so you might want to get help from a professional. 3. Learn how to rewire your money mindset. By rewiring your money mindset you eliminate the erroneous thought patterns that cloud your choices. Rewiring can be as simple as training your mind to think more constructive thoughts. For some, you’ll need to go deeper and recode a really old belief system that has become a negative anchor. By learning how you can take control of your mindset you are taking the reins of your future success. 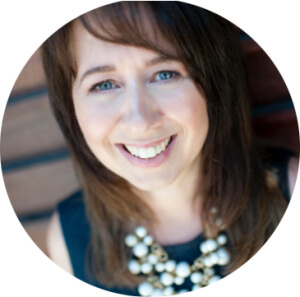 About the Author: Melanie Benson Strick, America’s Leading Small Business Optimizer, guides thought leaders and creative entrepreneurs to achieve optimum success by eliminating unconscious barriers. Get a copy of her money mindset book, Rewired for Wealth.